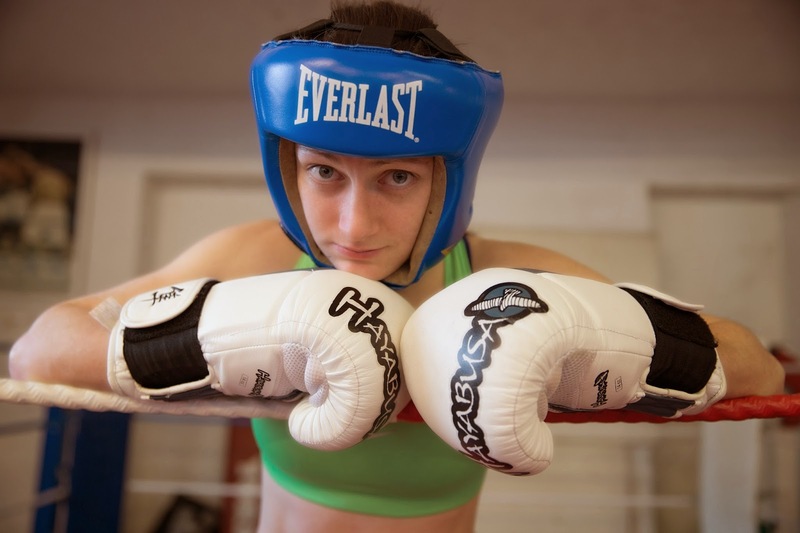 The last women's beginners boxing course of 2014 starts Tuesday, October 14 at 7.30pm. This is an 8 week course, led by a female coach, in an all-female environment. It's glove-contact only, so no hitting or getting hit. We use punch bags, focus pads and boxing gloves as targets so it's a good way to learn the basics without committing to full sparring. Just want to get fitter or improve your punch? If you want to get in the ring and box, this is a good place to start. Our Female Club Champion started out doing this course and currently holds the National Title in her weight category for 2013-14. If fitness or learning better punching technique is what you're after, then this course is for you. Suitable for women and girls 14+, non contact and does not require a high standard of fitness to begin with. Boxing training is particularly useful for increasing confidence in women, channeling aggression and unloading stress. The cost of the course is £55 for 8 weeks, payable at first session (talk to me if this is a problem). This fee includes a medal and certificate upon passing the assessment. Places limited so booking essential. kate@box4fitness.co.uk or text 077 3243 3243. If you want to ask any questions or talk about this course, contact me, I'll return your call at my earliest availability if you catch me in the gym.